Students studying food and agriculture at five leading Irish third-level colleges will take part in the third annual Great Agri-Food Debate, which will be held on Thursday, February 15, at Waterford Institute of Technology (WIT). In a story published on Agriland, Sylvester Phelan writes about the increasing interested in thrid level colleges in the Great Agri-Food Debate. Students from WIT will be joined by teams from University College Dublin (UCD), University College Cork (UCC), Cork Institute of Technology (CIT) and Dundalk Institute of Technology (DIT). This is a marked increase in interest from the past two years, where two debating teams – UCD and WIT – have battled it out for top honours; UCD came out on top in last year’s debate in a close-fought contest. 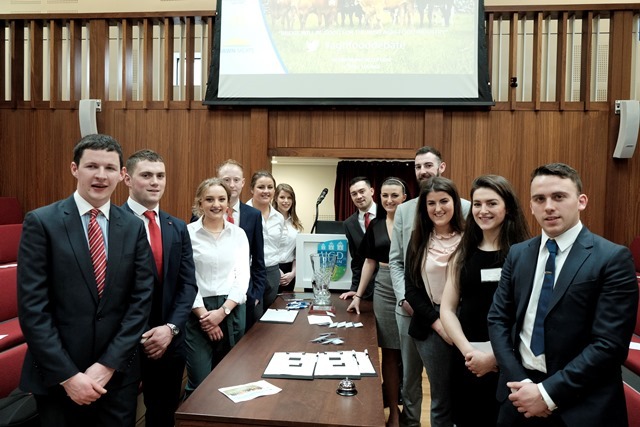 The students will debate the key challenges facing the Irish agri-food industry, including the merits of CAP, the likely impact of Brexit, and whether the agri-food industry is taking its environmental responsibilities seriously. This is the third year the Great Agri-Food Debate, a joint initiative between Dawn Meats and McDonald’s, has taken place; there are plans to expand the number of participants further in 2019. The judging panel of 12 will include industry leaders from finance, food safety, retail and agriculture. These will include: Tara McCarthy, CEO Bord Bia; Willie O’Byrne, managing director of BWG Foods; Niall Browne, CEO Dawn Meats; Pamela Byrne, CEO FSAI; and Peter Garbutt, agricultural manager McDonald’s UK and Ireland. Click here to read the full Agriland story.